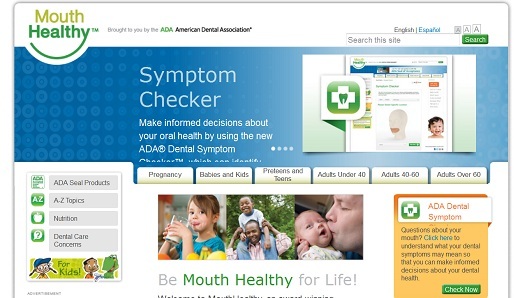 The Dental Symptom Checker launched by the American Dental Association (ADA) can be found here. It is designed help them make better-informed decisions about their oral health, help build consumer awareness of the importance of oral health, and recognize the benefits of regular dental visits, according to the ADA. After entering their age and gender in the ADA Dental Symptom Checker, patients can identify the location of the symptom they're having and other factors, such as pain or discharge, and read about various conditions that fit that description. The Dental Symptom Checker is not meant to diagnose or replace the role of the dentist. In fact, many of the conditions emphasize the importance of seeing a dentist or physician. This is pretty neat - so go ahead and check it out! But, if you have anything that continues to trouble you, feel free to ask me in the comments section below.